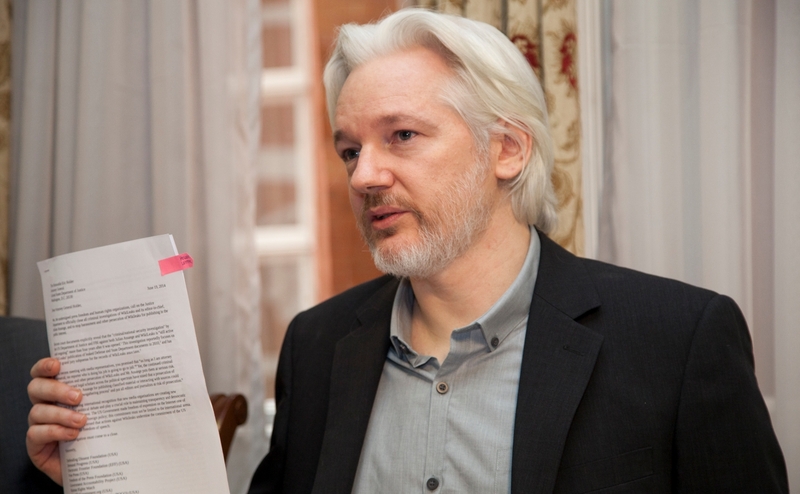 HOW IS WHAT JULIAN ASSANGE HAS DONE WITH WIKILEAKS ANY DIFFERENT THAT U.S. NEWSPAPER COVERAGE OF WATERGATE OR THE PENTAGON PAPERS? And while many journalists of the day favored liberal politics, you didn’t know it because they weren’t overt about their political philosophies and their coverage of events did not contain evidence of any obvious bias. For instance, the news media of the day covered the protests over the Vietnam War with detail and vigor as they occurred during a Democratic presidential administration — LBJ. They also covered scandals related to the war including the “Pentagon Papers,” as well as others tied to Republican administrations such as “Watergate” — Nixon. In the modern age, however, old school “mainstream” journalism has been supplanted by Left-wing political advocacy posing as journalism. In the age of POTUS Donald Trump, this has become especially obvious, as documented at sites like NewsFakes.com and Journalism.news. But there are still some outlets, if you will, that are doing the same kind of investigative work in exposing corruption as the American media of old, and one such organization is Wikileaks. Founded by Julian Assange, Wikileaks has been loved and reviled by both Democrats and Republicans, depending upon whose political ox is being gored. Democrats loved Wikileaks when the organization was exposing CIA manipulation of public opinion leading to the Iraq War; Republicans loved it when it was exposing corruption related to Hillary Clinton’s 2016 presidential campaign, in which she and the Democratic National Committee conspired to steal the nomination from Sen. Bernie Sanders. But whatever people on either side of the political spectrum in Washington thought about Assange and his Wikileaks, one thing was certain: They weren’t fabricating stories or falsifying narratives in order to advance an agenda. They were simply publishing information that had been provided — information that Americans had every right to know about their government and the various administrations in charge at the time. Some of the information we didn’t have a right to know, such as when Wikileaks published the CIA’s hacking tools and others used for electronic surveillance. These actually put our country at risk because they exposed for our enemies the tools our intelligence services utilize to keep us safe from things like terrorist attacks and enemy plots. Nevertheless, throughout its tenure, Wikileaks has never been proven wrong. The documents the organization has released over the years have infuriated, relieved, excited, pleased, angered, and disappointed people — but they haven’t been proven to be forgeries or fakes. Unlike the “mainstream” media in the United States, especially in the Trump age. So why has Wikileaks founder Assange been arrested? And why now? What significance does the timing of his arrest hold? What is the point behind it? Why did the government of Ecuador, in whose London Embassy Assange had been living in exile since 2012, finally relent and allow British police to arrest and extradite him to the United States, where he will face charges of computer hacking? Some believe that his arrest is the Trump administration’s way of telling journalists (and all Americans) to “be quiet” and “toe the line,” according to 2020 Democratic presidential contender Rep. Tulsi Gabbard of Hawaii. Perhaps that’s true; time will tell. What is true is that love him or hate him, Assange has done the work journalists in the American mainstream media used to do, but no longer do because they are too busy advancing a Left-wing political agenda.